Pokemon Go Cebu Players, Let's Lure This Weekend and Gonna Catch Them All! Pokemon Go has been the talk of the town since its launching on August 6 here in our Country. And Cebuanos were very eager to join this phenomena that trended in Social Media worldwide. 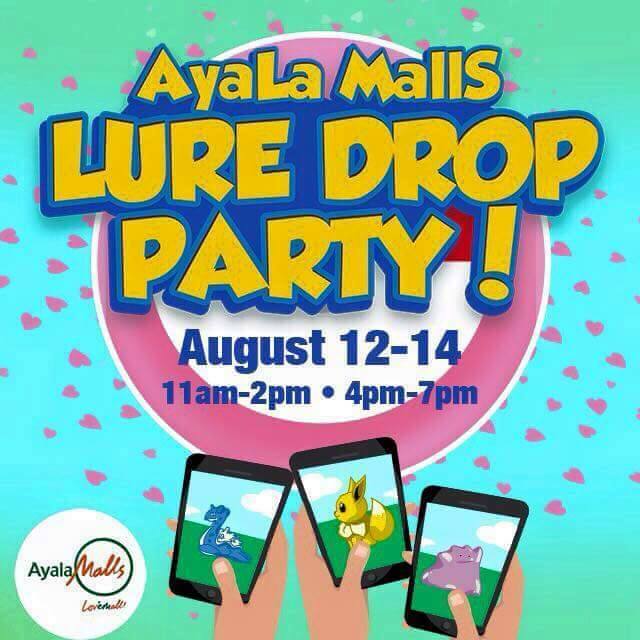 This coming weekend, everybody is invited to lure and catch them all! Check this list of events that will be happening on August 12-14 in different giant establishments here in Cebu. Follow the Blogger at Instagram and Twitter. 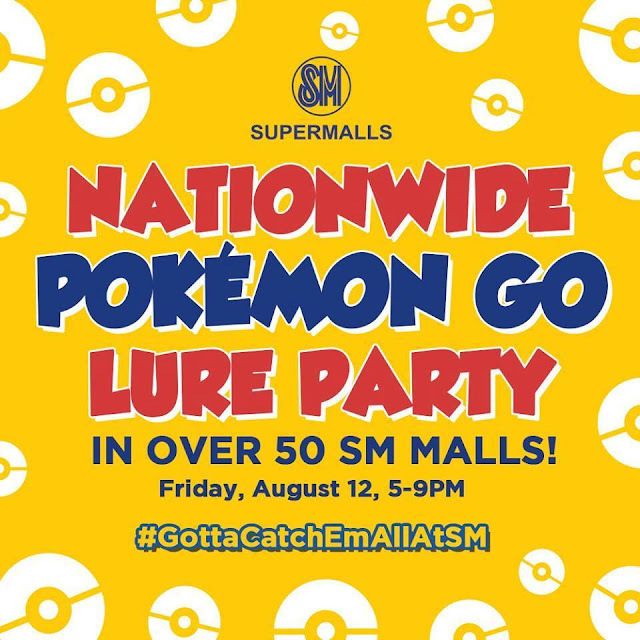 Philippines' BIGGEST LURE PARTY is happening this Friday! SAVE THE DATE and be part of Pokémon Go history! Mechanics: Present a photo or screenshot with the specified Pokemon. AR should be enabled and its should be clear that it's within SM City Cebu. Note that the Friday Lure Party will be simultaneously launched nationwide on over 50 SM malls. For those who are not in Cebu, make sure to check with your nearest SM mall if they are participating. It's a Pokemon Lure Drop Party. 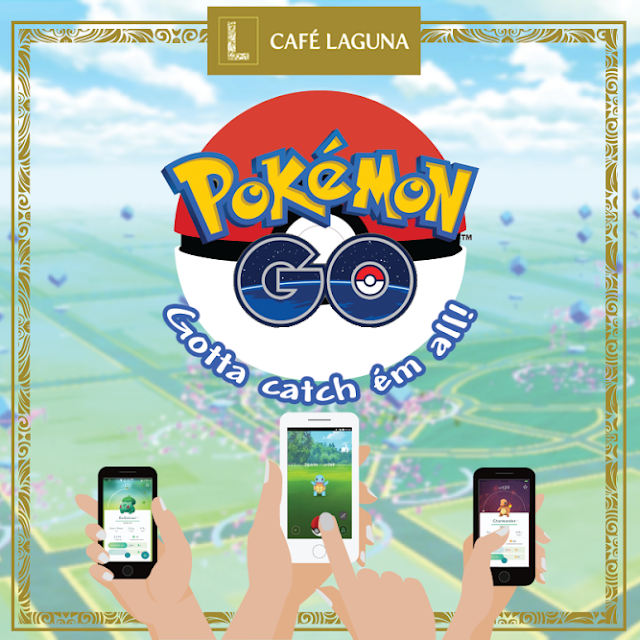 Check Pokemon Go Ayala Malls! Insider Tip: There have been sightings of Scyther, Rhydon, Clefairy, Polywag, Polywhirl, Weepinbell, Squirtle, Bulbasaur, Gastly, Horsea, Staryu, Paras, Krabby, and many more, based on guest feedback. Check out Pokemon Go Crown Regency! Do you know you can capture at least 15 Pokémons in one seating? Increase your Pokémon GO level as you relax and dine in Café Laguna!